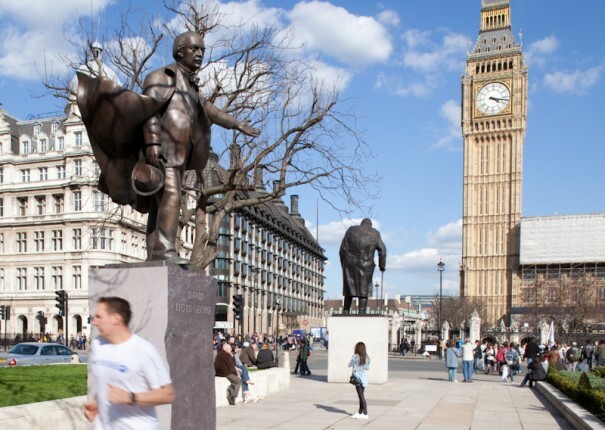 As you look out over Parliament Square, you will see some of our country’s most titanic political figures. Peel, Disraeli, Churchill – as well as international heroes like Mandela and Lincoln – are all rightly there. Because they are marked as that very specific, very rare type of politician which genuinely makes a huge difference and transforms society in line with their vision for the country. And whatever you make of Thatcher’s politics, it cannot be denied that – in terms of sheer impact – she is right up there with Churchill and those other great figures who have their place in Parliament Square. Not only this, but Thatcher’s personal story is one which is symbolic of the British idyll. Again, regardless of politics, can anybody deny that it is anything less than remarkable that a grocer’s daughter from Grantham defied social and gender conventions to rise to the very top of British politics? This idea – the idea of a meritocratic society in which talent and drive are the only factors which influence how far you go in life – is something we should all support, and manifestations of this dream are something we should all celebrate, no matter the political persuasion of individuals involved. The problem with leftists who deny this is that they believe they have a monopoly over the interests of minority or disadvantaged groups, despite Labour – ironically so obsessed with identity politics – never having had a female leader. They believe only they can “release the potential” – to use Corbyn’s own words – of these people. In many ways, this condescending approach undermines the entire premise of their original position. They want to liberate disadvantaged groups, but, paradoxically, only if they are left-wing. 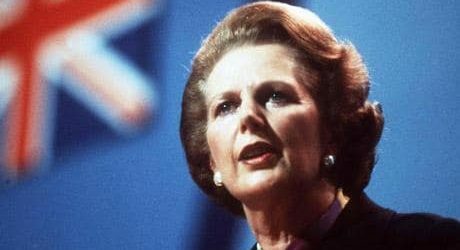 As such, unbelievable successes like that of Margaret Thatcher – who, by the way, was a fantastic politician and Prime Minister who happened to be a woman – do not fit into their very narrow-minded definition of what it means to be a woman in politics and, therefore, are not worthy of their praise. This is all the more condemnable when you consider some of the figures who do have statues in their honour, without any controversy whatsoever. Just recently, a statue of Engels was erected in Manchester. Engels of course being the co-author of ‘The Communist Manifesto’, the intellectual bedrock of an ideology which has, so far, cost the lives of at least 100 million people. And yet a democratically elected British Prime Minister, who led our country for over a decade and achieved objective triumphs like ending the Cold War, is beyond the pale. It is a mark, perhaps, of the cultural victory the left has attained. However, perhaps the most incomprehensible and fundamentally flawed of arguments is that ‘the statue would be vandalised’, and hence we should simply not bother putting it up at all. The answer to vandalism is, quite simply, due punishment in the courts. Those that break the law should face the relevant sanction. To not put the statue up in fear of criminal activity immediately grants would-be vandals success, and thus implicitly allows such behaviour – or the threat of it – to be triumphant. Those that make the aforementioned argument are, in doing so, undermining the most basic principle of the law: that it is there to be respected and those that break it will be punished accordingly. Thatcher is undoubtedly one of the most significant figures in modern British political history. And so she should join her fellow titans in Parliament Square. For her not to be there, would simply be wrong, unjust, and, most significantly, a gross dereliction of our national history. Harry is an 18 year old English student at the University of Cambridge. His political interests mainly concern Brexit, free-market economics and liberty. You can follow him on Twitter via @clynchharry.